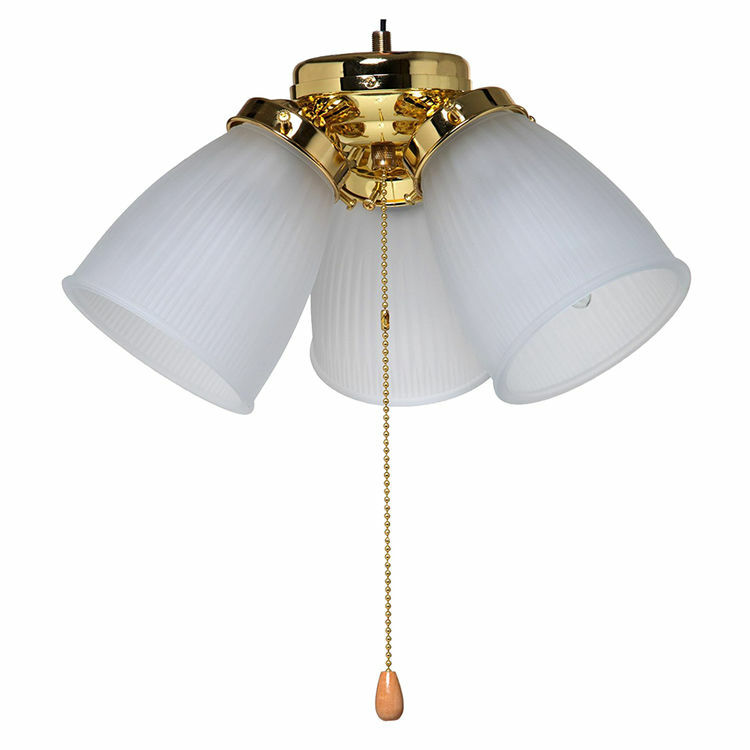 The Boston Harbor CF-3FLK-PB is a polished brass ceiling fan light kit. 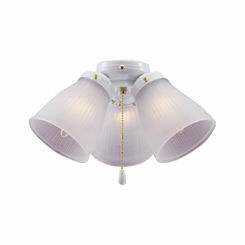 It has frosted glasses, which evenly distributes the light from the bulb's filament to its surface area. 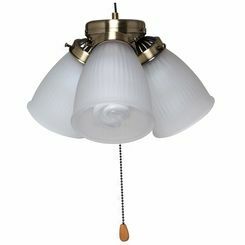 This ceiling fan light kit uses three spiral CFL bulbs that are candelabra base (maximum of 13 watts) which are included. It comes with a polished brass finish which is resistant to tarnish. This polished brass ceiling fan is for a flush mounting type. It is designed for Boston Harbor CF-78042 dual-mount ceiling fan. Here at PlumbersStock, we guarantee that you have access to the highest quality products and resources at very affordable prices. We pride ourselves in striving for excellence in every aspect of what we do. Shipping Dimensions 26.9" x 16.0" x 19.0"
Shipping Dimensional Weight 46.33 lbs.